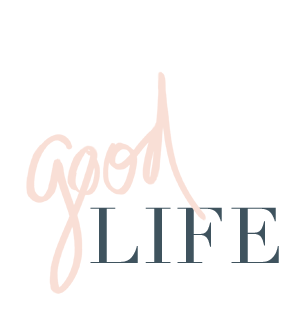 jillgg's good life (for less) | a west michigan style blog: Beauty Q & A! I've been getting lots of beauty questions on Instagram lately so I thought I would round them up into one place! I always love a good Q & A post and I'm hoping it's helpful as well! Let's dig right in! Q. What are those awesome travel cosmetic bags you showed on your stories recently? A. These TRUFFLE cosmetic bags are the BEST. They are super sturdy and TSA approved. 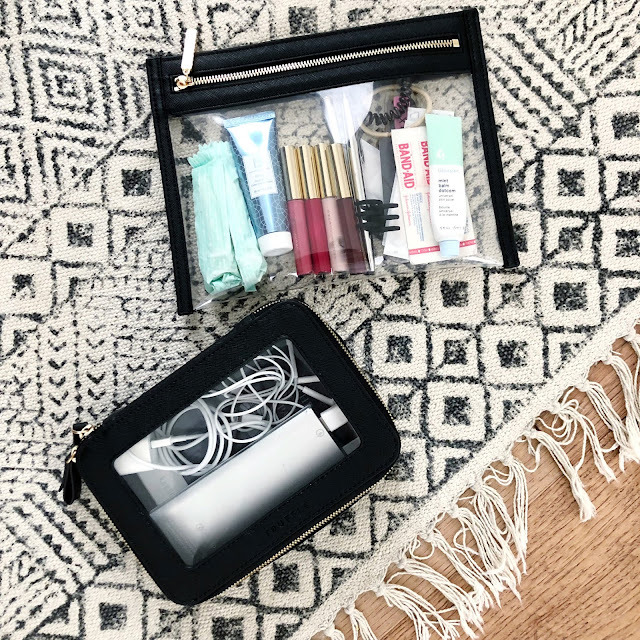 I pack the flat clear bag (top) with my "purse necessities" (lip gloss, lip balm, bandaids, pens, hair ties, etc) for my carry-on but this zip pouch fits in most of my purses as well. So it makes it really easy to switch bags quickly without leaving your favorite lip gloss in who knows which purse! The rectangle cosmetic bag is great for chargers, my kindle, headphones, external battery, etc. These are REALLY high quality and beautiful pieces. And the price tag does reflect that. But I've used them a ton so far and they have held up great. I found this option at Amazon that is less expensive. I can say that while the TRUFFLE brand is pricey, it's 100% worth it. These bags are gorgeous and so well made. Q. How do make Beautycounter products more travel friendly? A. Speaking of travel! So I can't totally answer this question because I am a wimp and ALWAYS check my luggage and pack full size products. I always have WAY too many beauty products to carry on a suitcase - not too mention probably too many shoes too. Eek - I know lots of people have strong feelings about checking luggage both ways. But I will say that I have found these awesome glass jars that you can easily fill with any product to make them more travel friendly. I've used the same exact item for handing out Beautycounter samples. Q. What are your thoughts on Botox? Do you get Botox? I answered this question in a FULL blog post you can see it all here! Q. How do you get your loose waves? What curling iron do you use? I am NO pro at hair at all. I am quite an amateur when it comes to hair. 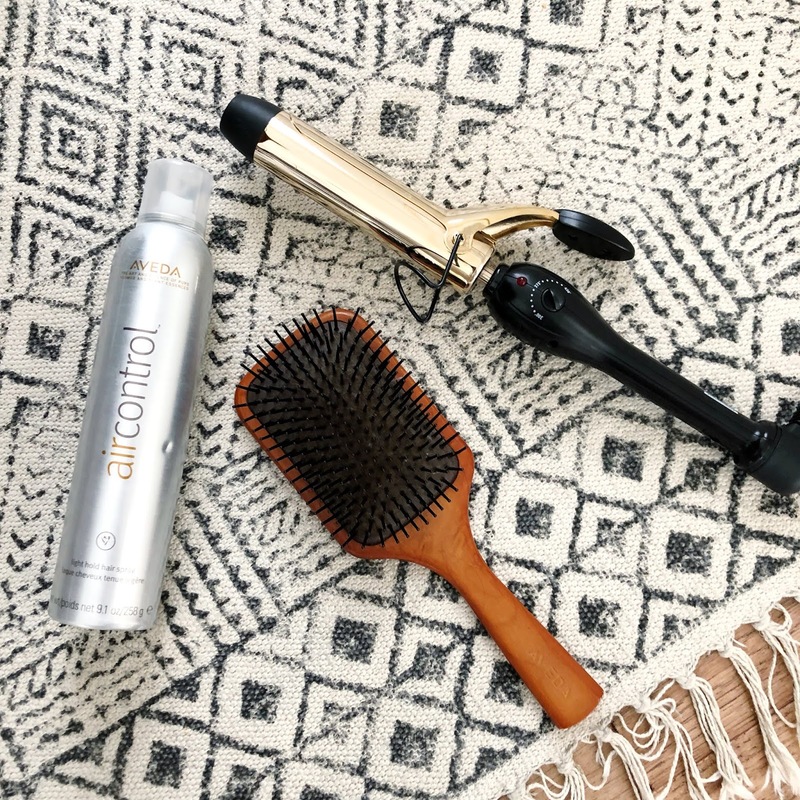 I use this super cheap curling iron I found at Target (which is now sold out - but I found it here too!). I use the hottest setting and after I curl all the hair I pull my fingers through it and use this hairspray. That's it! I'll try to do a video soon, but it won't be pretty ;) And totally unrelated this brush is awesome... it's like a scalp massage. A. So I am super intrigued by dermaplaning! Especially since it can be done both at home (everyone raves about these razors) and at the spa. If you haven't heard of dermplaning it is basically shaving your face on a regular basis, it's to help both remove the peach fuzz that many women find annoying and to remove any dead skin at the surface. Regular dermaplaning is supposedly great for your skin. Again you can do it at home or in the office but it's suggested to dermaplane as often as once a week. I have held off on trying this procedure because I have heard it can trigger breakouts and my face is very prone to breakouts. So I'm scared. But I love the idea and would be open to trying it if it weren't for the breaking out thing. Q. What Beautycounter products would you recommend if you are just starting with Beautycounter or safe beauty? A. I would recommend starting with a product that you use a lot that you just ran out of... so if you are low on eye cream, lip gloss, foundation... whatever, start there! 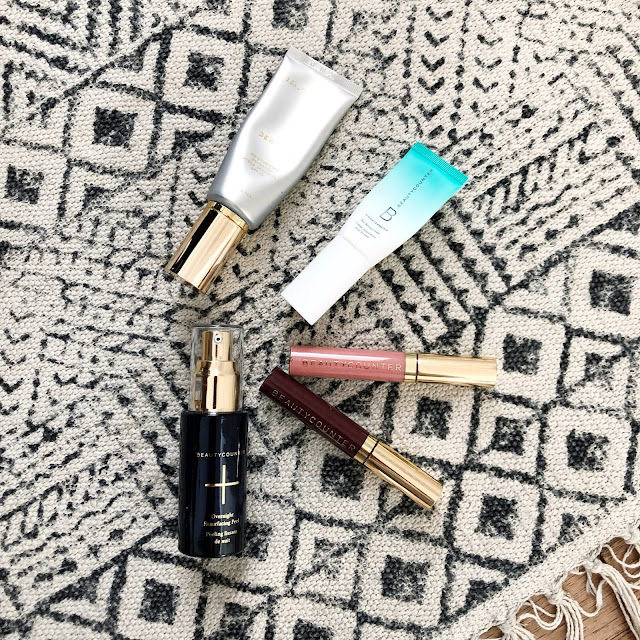 Or if there is a product that Beautycounter has that you have never tried before but are curious about like the Overnight Peel or the Charcoal mask, those are fun places to start too - both of those are favorites of mine! Q. What is your winter morning and evening regimen? A. I have an entire blog post on that here! Q. What is your favorite eye makeup remover? A. I don't really use eye makeup remover. Sometimes I will use these wipes and I love them. But otherwise I take my makeup off with this wash in the evening. I have used this wash for about 15 years and love it. Q. What is your favorite perfume? A. I have TWO! 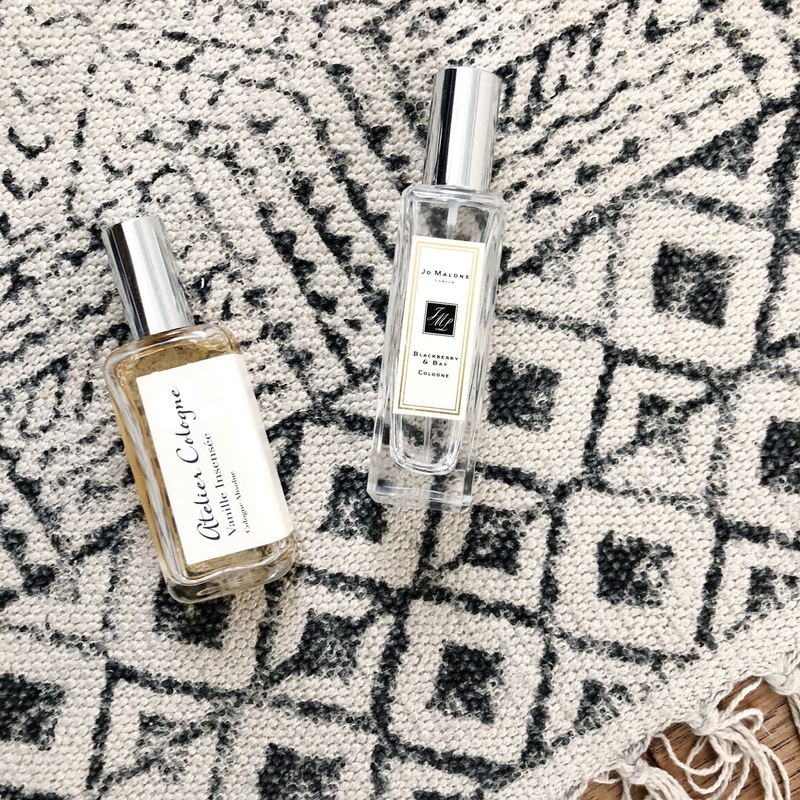 I love this Atelier Vanilla Insensee for winter. It's warm and a little spicy and just beautiful. I am not drawn to "vanilla scent" and really wouldn't describe this as vanilla even though it's called that. I love that it's unique and it's perfect for winter. For warmer months I love this Jo Malone Blackberry & Bay. It's fresh and sweet, yet subtle. Q. What do you like for body wash and lotion for everyday use? A. 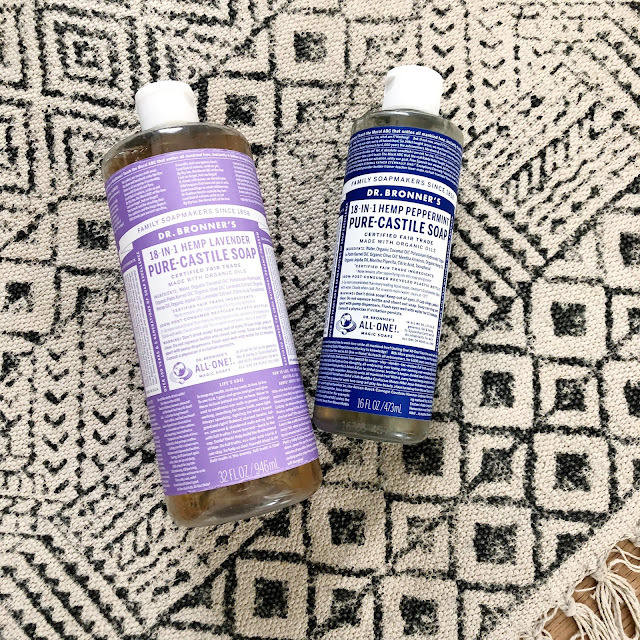 We are a Dr. Bronner's family! It's safe, it smells amazing and these bottles last forever! You only need the tiniest bit to get a good lather. Also, totally random but there used to be a really wild documentary on Dr. Bronner on Netflix - it's worth looking up and watching! For body lotion I use this one... it's simple and unscented and lasts all day. Q. Any suggestions for dark under eye circles? A. Sometimes this is just a matter of rest and nutrition/drinking lots of water. But sometimes it's hereditary and there is nothing you can really do about it. I suggest a good eye cream to keep the area moisturized and also a great full coverage concealer like this one! Q. How do you avoid chapped lips in the winter? A. I don't think you can avoid it... at least mine always seem chapped. But I like this peppermint product (petroleum free), this rose tin and also this in coconut! I try to avoid products with mineral oil or petroleum products... but quite frankly sometimes they are the only thing that works when it's the dead of winter. I hope this post was helpful! If you have any other questions feel free to ask them in the comments!